The 113th US Open Championship promises to be quite the occasion for golf fans. With the iconic Pennsylvania course defined by narrow fairways, thick rough grass and unpredictable greens, there could be plenty of surprises on offer and the group betting options offered by Ladbrokes are no different. Backing the trio of Graeme McDowell, Charl Schwartzel and Dustin Johnson, for instance, offers odds of over 100/1 as a treble or similarly tempting odds as three single bets. McDowell may have been already tipped to finish as the Top GB andIrelandplayer at the Merion Golf Club but he could also be the one to back at 7/2 to lead a group containing Rory McIlroy, Phil Mickelson, Adam Scott and Matt Kuchar. While the usually reliable Mickelson has seen his preparations disrupted by his daughter’s graduation ceremony, all eyes will be on McIlroy and Scott with the pairing set to tee-off alongside Tiger Woods. McIlroy will need to produce something special to end his current slump, while the US Open remains the one Major Scott has yet to make any kind of impact at. Kuchar meanwhile is unlikely to provide much resistance for 2010 champion McDowell who has enjoyed an excellent 2013 with victories in the RBC Heritage and Volvo World Match Play title just last month. It may be something of a bold choice, but Schwartzel could be one to watch amongst a group containing Justin Rose, Lee Westwood, Luke Donald and Brandt Snedeker. Rose, Westwood and Donald have yet to deliver the goods at a major tournament, with the latter of the trio already expressing concern at the potential effects of the current inclement weather conditions on his game. Snedeker, meanwhile, continues to be dogged by a troublesome rib injury that kept him out of action for much of last year and has seen him resort to injections for the US Open. 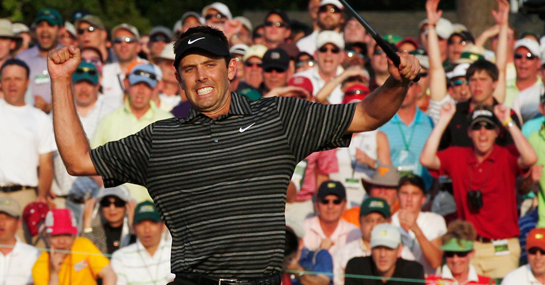 All of which leaves the field open for 2011 US Masters champion Schwartzel. Just a fortnight ago, the South African delivered an impressive 65 first round at Muirfield and a similar repeat here could make a mockery of the 4/1 odds currently available on him to top the group. Johnson may have fallen short in the 2010 US Open and PGA Championship of the same year but as these efforts and his fine showing at the 2011 Open Championship show, he is capable of making a good start. In a grouping that includes Jim Furyk, Steve Stricker, Jason Day and Sergio Garcia, the 28-year-old is certainly one to watch. Despite taking top honours at the Merion Golf Club in 2003, Furyk has failed to hit the same heights over the past decade with a poor 2011 followed up by 12 months of near-misses. Elsewhere, Stricker appears to be winding down his career, with few tipping him for success this weekend after months of reduced tournament participation, while the arrival of windy conditions could see Day preoccupied with his specially-made one-iron. With Garcia facing intense media scrutiny, the setting could be perfect for Johnson to make a positive start to proceedings and his 7/2 price is what’s known in golfing terms as a ‘gimme’.